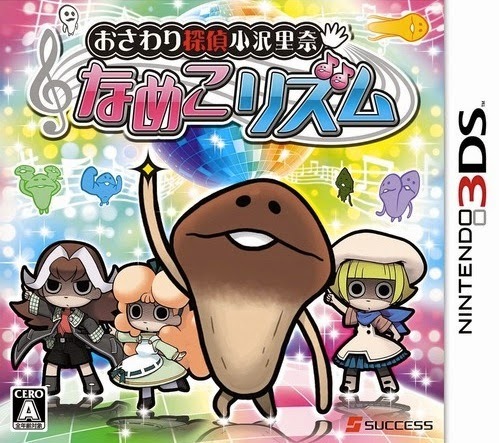 Specifically, the game, to be called something along the lines of Osawari Detective Ozawa Rina Nameko Rhythm, will hit Japanese store shelves--hopefully both physical and digital ones--on Nov. 13 carrying a price tag of ¥4,800 (about $46). My initial reaction to discovering this thrilling piece of news while checking out japanese3ds.com yesterday was, of course, to drop whatever I was doing so I could pre-order a copy. Thankfully, that wasn't possible on any of the sites I regularly peruse (like amiami.com and play-asia.com), as upon watching the game's first trailer--which can be found here--this morning, I'm no longer so sure it would be a wise way to spend my hard-earned cash. Naturally, it's possible I'll have a change of heart between now and when Osawari Detective Ozawa Rina Nameko Rhythm is released. In the meantime, maybe I should finally give the game that started it all--the first Touch Detective title for the DS--a try?